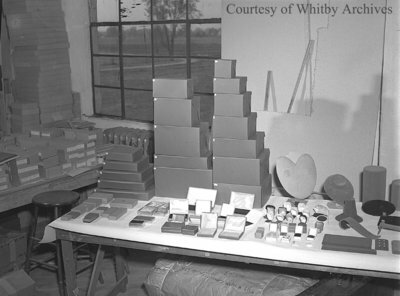 Black and white negative showing all of the different jewellery boxes produced at the William J. Anderson Company box factory. William J. Anderson Company, October 17,1947, Marjorie Ruddy. Whitby Archives, A2013_040_451.